Get Rich in Prospect Falls! Let Frontierville Express guide you through building your own thriving Frontier gold mining town! 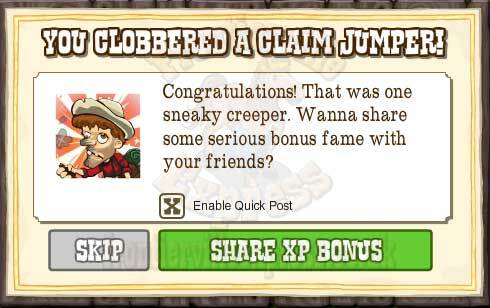 Mission info, news and what you need to watch out for when it comes to no good varmint claim jumpers! 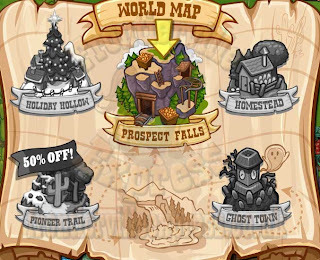 So, what is Prospect Falls going to be to me? Well, there's a lot of things it is, a lot of things it ISN'T and a lot of ways it's quite different from the main game on our homestead. To begin with we're seeing a VERY different expansion game from anything we've seen before in Frontierville. Where the Pioneer Trail was a linear track and the Ghost Town and Holiday Hollow relied on us doing tasks for people already set up in pre-built towns Prospect Falls is a blank Canvas for us to make our own. 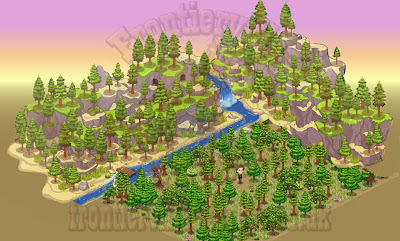 The whole gameplay smacks of the early days of Frontierville. A small area, overrun with debris, and a pair of wide open arms shouting, here, come build on me! Everything in Prospect Falls will be of our own making. 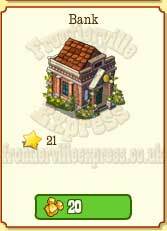 Do you want a small mining village or a large town? 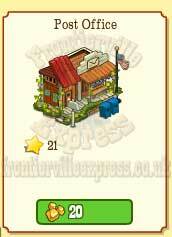 Do you want a main street here and farms there... perhaps you want your working buildings and houses mixed. 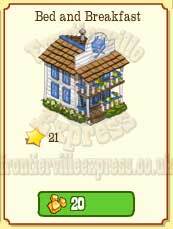 Could that home be a farmhouse? 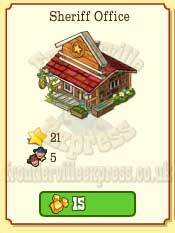 Is that a row of mining cottages? Literally every part of the design is in your own hands, meaning that for people like me, frustrated town planners, it'll be a Godsend. It'll also give the area a more personal feel, giving folks a closer connection that they didn't have so much in the other expansions, that gave the impression we were merely travelling through. Here, everything is geared towards making us feel at home. As well as it becoming an individual area (likely nobody's Falls will be exactly the same) we're introduced to characters much the same as the homestead, deeper than we were in any other expansion, in fact the majority we've already met doing the Stories missions and the Railroad. 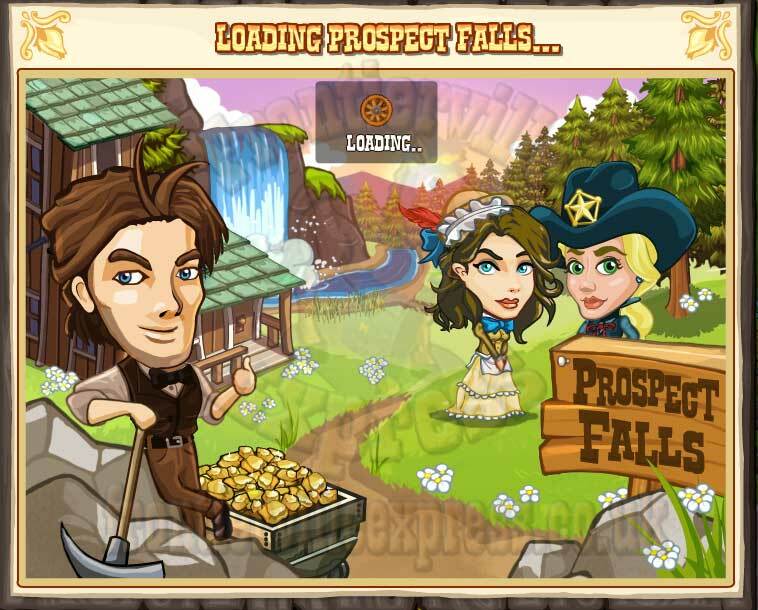 Brother Jasper who pushed us to make the railroad is the miner in charge, Helena who we taught to work an Inn gets to fulfil her lifelong dreams of owning a Saloon and B&B, Mae the Sheriff on the trail of Bob becomes Prospect Falls' police and Bert, the Trader becomes our place to buy what we need. Now, onto the mechanics. 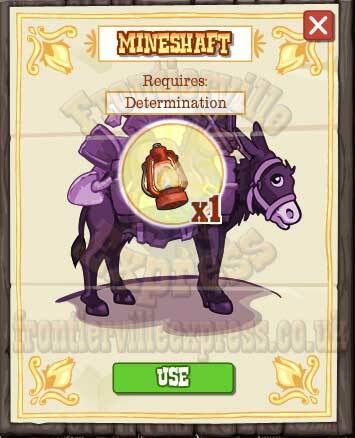 Just like previous expansions we'll have an individual energy supply, Determination. 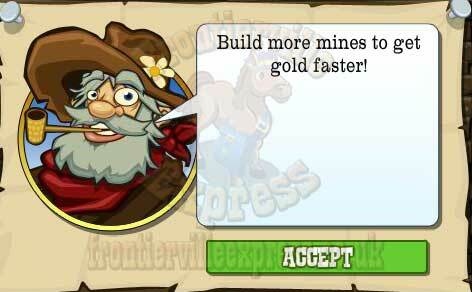 We'll also have a whole new currency to use to buy the items Bert is selling, and that's the gold nuggets we'll be mining out of the ground. Using mines and completing missions will up our gold reserves. 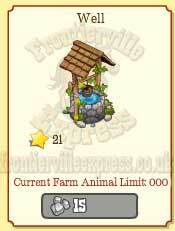 Instead of using the same items as the homestead we'll be tending and harvesting new trees, animals and crops that are exclusive to Prospect Falls. 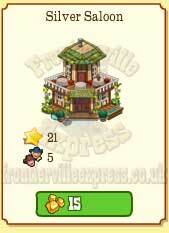 These will drop new collection items and things needed for the Missions. All in all it's going to be much more like the main game than any previous expansion... and yet be the main game simplified in a way. One thing we seem to be seeing a LOT less of is crafting and requesting, with many items available from around Prospect Falls. 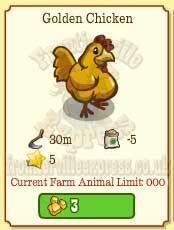 Oh yes, and there's one big difference from the main homestead... Population and Limits... But we'll get onto that one in the next post. 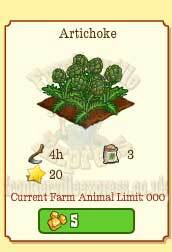 One massive change in gameplay for Prospect Falls is the introduction of a Population Meter. 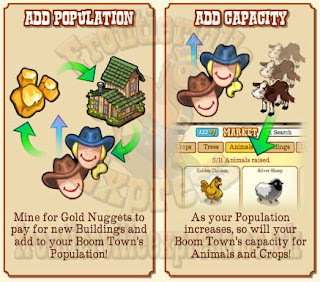 As the storyline is around setting up our own Pioneer Town we'll be keeping track of how many folks we've got living in our little slice of Gold Rush heaven, and just like real life, the more people you have living in your prospecting town, the more work you'll be able to do. Unlike the free for all that is Frontierville, there are limits to the amount of crops and animals you can have or plant, and those limits are based on your population. The more people you have, the higher your limits. 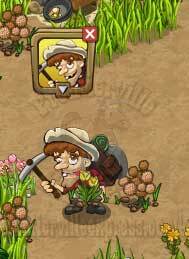 It's an interesting and realistic twist on the old gaming. 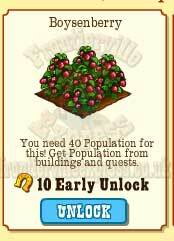 So, how do you get more population? Well, to begin with all but one of the 14 missions so far in Prospect Falls will give a Population boost as part of it's reward. 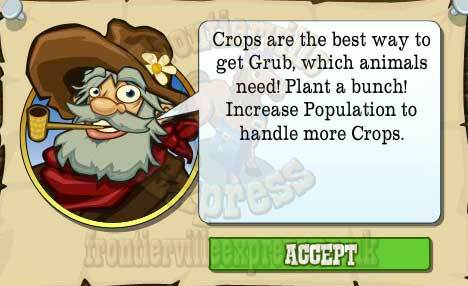 These are permanent rises and means as you work through the missions your ability to grow crops and tend to animals increases. It's also the space saving option, as the other way to raise population is (logically) to build more houses for folks to live in. 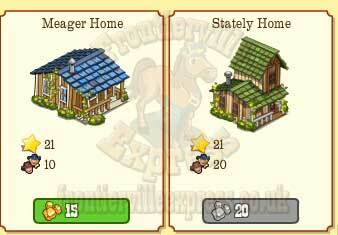 A meager home will provide a +10 boost to your population, the Stately Home will boost it by 20. 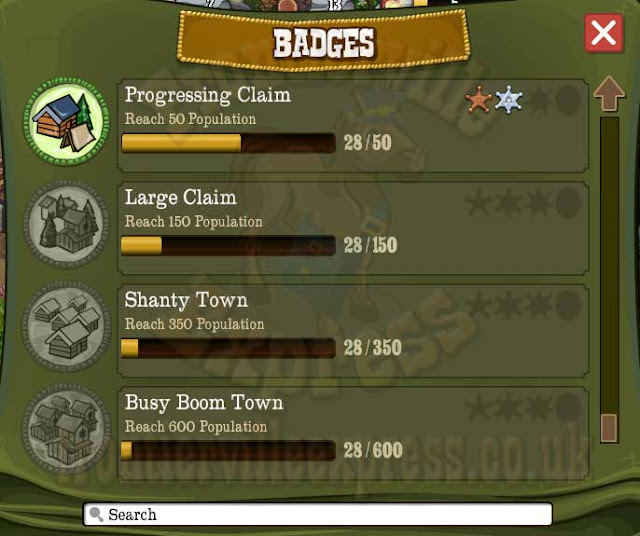 Finally, at certain population milestones, shown by the badges in the game, you'll get rewards that increase your crop and animal limits above and beyond the normal permanently. 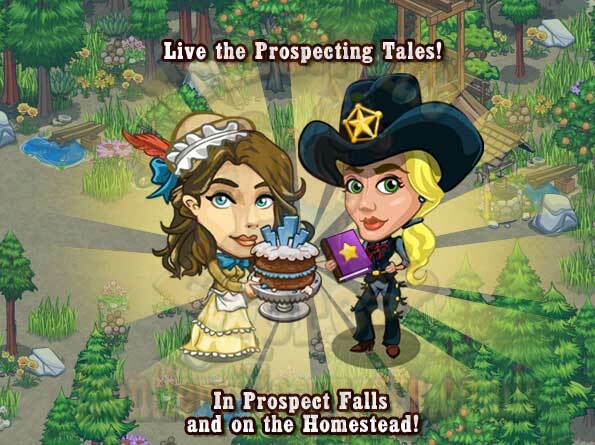 There's two types of mine in Prospect Falls, and each one needs a different thing to work it. 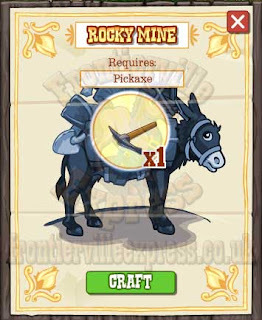 But the second, the Rocky Mine gives better rewards... but on the negative side does need you to craft a pickaxe each time. To craft a pickaxe you need 4 Pure Water and 1 Molten Alloy. Chase Down No-Good Human Varmints! 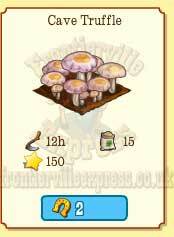 They can pop up while you're working and try and have away with all your hard worked for goodies so best get used to clobberin them now and locking them up in Sheriff Mae's Jail! The first type are Claim Jumpers - No good dirty beatniks who want to muscle in on a fellers rightful land and steal his gold from under his nose! 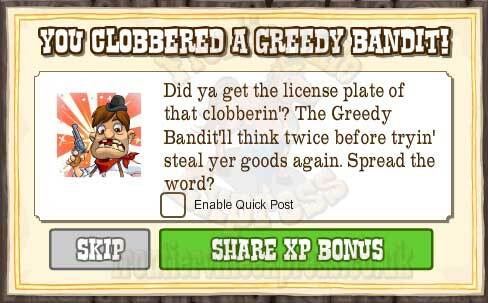 The second type of crook are Greedy Bandits! 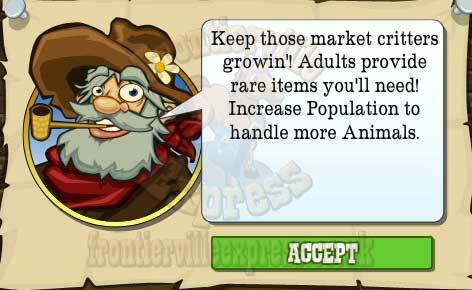 They'll try to hijack your wagons of food and steal stuff from your stores! 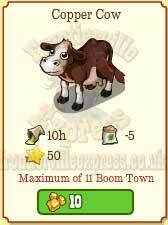 And finally the third type are Cattle Rustlers, those darn good fer nothings want to have away with your animals! 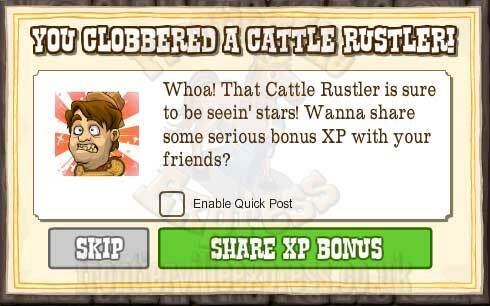 So make sure yer clobberin arm is in full power mode, cause you don't want your stuff lost to those darn tootin snakes! The more folks you get, the bigger your Prospect Falls gets and the better the reward!